Pauline O’Callaghan is an electronic engineer and entrepreneur originally from Ireland. She started out in traditional engineering roles before moving on to more interesting opportunities such as running a repair workshop in Dublin and designing products in London. Arriving in Berlin just this past summer, she has been building her own tech company, with the support of a major German research institute. What drew you to Berlin? 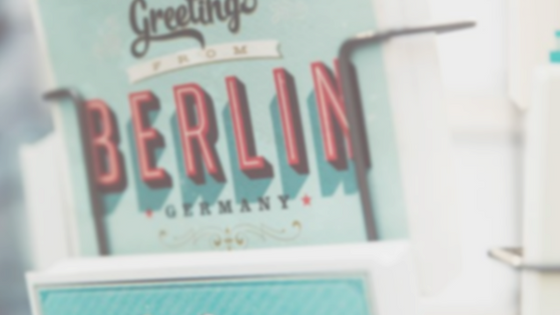 I came to check out Berlin this summer as I was looking for a fresh start and I’d heard great things about the startup scene in Berlin, particularly for hardware startups, which is my passion. I asked people from my network in London to introduce me to people working in hardware in Berlin, who I then met and quizzed on my trip here. I quickly discovered that Berlin does indeed have a fantastic hardware community and I was overwhelmed by how welcoming they were to me. Before I’d even decided if I would come here to live, they were organising space for me to work and advising me on how to get accommodation and funding for my Startup! But even more attractive to me was the lifestyle I perceived on that trip. Coming from London, Berlin was a breath of fresh air. The trains aren’t so crowded, people walk a little slower and everything just feels a bit calmer. While I think I’ll always be fairly intense about my work, I hoped that being surrounded by that atmosphere would help me to achieve a healthier work/life balance. My first real engineering job was designing milking machines for goats in the west of Ireland, which maybe won’t endear me to the many vegans in Berlin! But dairy is a very important industry in Ireland and one I grew up around, so it wasn’t as unusual as it might sound. That job sparked my entrepreneurial spirit as the company created really innovative products in a space where that type of technology had never been used before. We were allowing farmers to keep track of their animals’ activity years before Fitbits came about! What current project are you working on? I founded a company just before coming to Berlin, called Hearability. We’re working on developing technology to enable ‘augmented hearing’, which is about being in control of what you hear (and don’t hear). Noise cancelling headphones are an example of augmented hearing, but we want to push the technology further to give you more control over your auditory environment. I’m also helping other hardware companies in Berlin to build their prototypes. Last week I was building a self-driving robot, this week I’m building part of a massive microscope. What is the biggest roadblock you’ve faced professionally? How did you overcome it? Most of the normal engineering jobs I had didn’t actually involve a lot of engineering. I felt really unsatisfied with spending my days on paperwork, presentations and supervising technicians who got to do all the fun stuff. So I decided to become a technician myself for a while, which was seen as an unusual move as it involved a pay cut and a less prestigious title. But I loved it. I was running an electronics workshop in a university in Dublin, where my job was to fix broken equipment and build electronics for physics experiments. It allowed me to build up a set of skills that’s really useful for inventing new products, which is what I went to London to pursue a few years later. ‘Work harder on yourself than you do on your job’. It’s from a cheesy motivational audiobook called ‘The Art of Exceptional Living’ by a guy called Jim Rohn, which I actually found really helpful. He talks about making yourself more valuable through the work you do. I think particularly as women we tend to focus on making sure the job gets done and maybe that our boss is happy with us, but actually if career progression is the goal we should be more conscious of how we’re improving and what we’re learning that will get us to that next step. 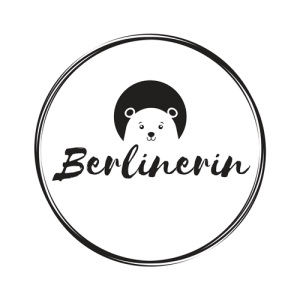 Where is your favorite place to visit in Berlin? I love the everyday surroundings in Berlin. Spätis, Döner shops, flea markets and bizarrely, DVD shops. I like that the city isn’t polished, it feels unfinished. London feels like it’s built already. Berlin feels like a place where you can build things.